Throughout his career the Catalan painter Hermen Anglada-Camarasa (Barcelona 1871–1959 Pollença) worked mainly in the ‘modernista’ style. During WWI he travelled to Mallorca for the first time and eventually settled for the rest of his life in the north of the island, where in 1967, following the artist’s wishes his house in Pollença was turned into a museum. This exhibition in Palma de Mallorca displays a wide range of his paintings alongside his collection of costume, furniture and Japanese prints, in a setting evocative of his house. This entry was posted in Exhibition, Uncategorized and tagged 19th century, 20th century, art, CaixaForum, featured exhibition, Hermen Anglada-Camarasa, modernista, Painting, Palma de Mallorca, Spain, Spanish Art, Spanish Painting on January 14, 2019 by costanzabeltrami. 123 works by Sorolla, primarily drawings selected by Consuelo Luca de Tena from the Museo Sorolla’s large holdings, and displayed alongside a small number of related large paintings and oil sketches or ‘colour notes’. 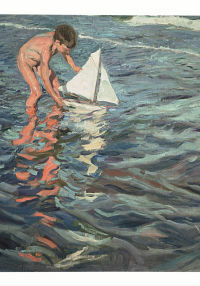 The exhibition is divided into five sections covering his early career and different beach-side and fishing themes. This entry was posted in Spain and tagged Barcelona, CaixaForum, Exhibitions, Museo Sorolla, Sorolla, Spain on June 22, 2014 by Clare Hills-Nova. 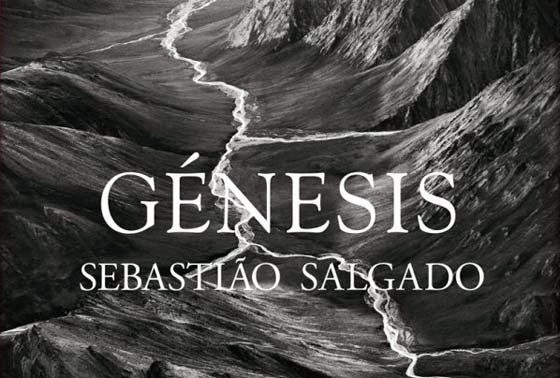 Sebastiâo Salgado: Genesis, CaixaForum, Madrid, 17 January – 4 May; and later to Centro Cultural Banco do Brasil (Distrito Federal), Brasilia, Brazil, 5 August – 29 September 2014. Another in the Brazilian-born photographer’s series of exhibitions of his black and white images of remote landscapes and their animal and human inhabitants. This exhibition of 216 works was previously shown at the Natural History Museum, London. This entry was posted in Uncategorized and tagged Brasilia, CaixaForum, Exhibitions, Madrid, Sebastiâo Salgado on May 18, 2014 by Clare Hills-Nova.